On one Sunday afternoon, at one bike rack near one metro station, we found these four lovely details that really show the glory of our bike culture. The ladybird bell at top left is so cool. When you pull the trigger, the wings fly out and the bell rings. The yellow flower at bottom left is a fantastic simple detail that makes the bike personalised. Wonderful simplicity. 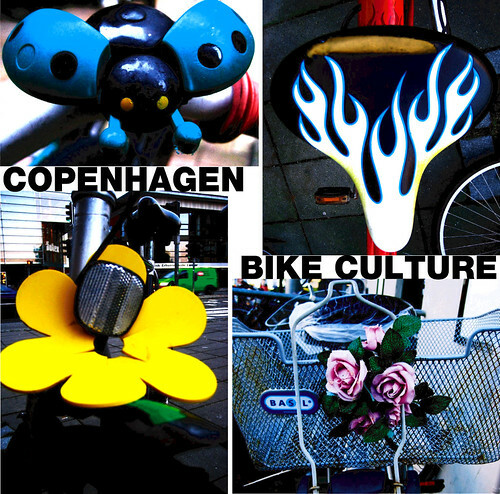 tags: "bike accessories", "bike culture", "bike saddles", "danish design"